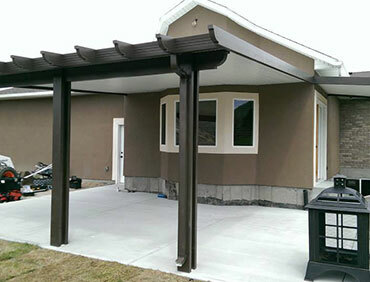 Pergolas are a great way to enhance the beauty of your home while adding up to 60% shade without having a completely covered patio. You can even do our combo style patio covers that have both solid panels while leaving a section of the pergola to add an element of partial sunlight to your patio. 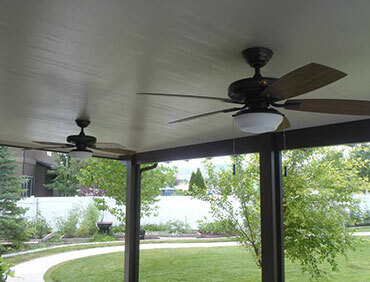 Made from our aluminum material it will never rot and requires no maintenance!! Comes in all 7 colors. V Panel is our most economical panel, it’s also our strongest panel! 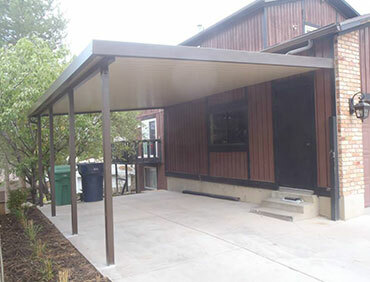 It’s popular for carports and commercial projects. It has a deep V pattern to give strength to the panel without affecting cost. Panels come in white only. The Flat Pan is made out of a similar material to the V-pan but it is rolled into more of a square U shape to give you a more elegant and finished look. It also comes in 7 different earth tone colors to match the colors of your home. IRP’s (Insulated Roof Panel) is made up of a foam core with aluminum rolled on the top and bottom of the panels. This is our highest quality panel. Used mostly for sunrooms and patio enclosures to give extra insulation from the cold and heat. Comes in white and sandalwood colors. When you decide which panel style you prefer we can make it into a Newport style cover. 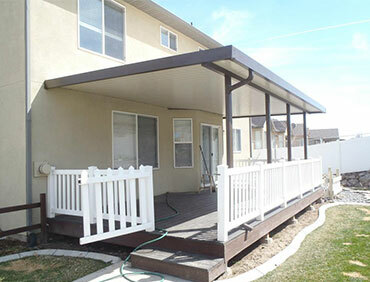 We take our pergola material and wrap your patio cover to give it a more bulky and elegant look. 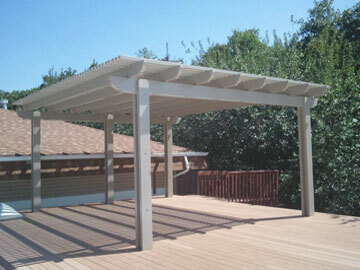 Pergola material comes in all 7 colors, so you can even have a multicolor appeal your patio cover! 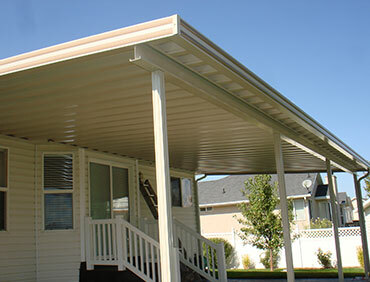 Carports offer protection for RV, vehicles, and boats from the elements. The structure can either be freestanding or attached to a wall. It provides an economical method of protecting vehicles from weather and sun damage. 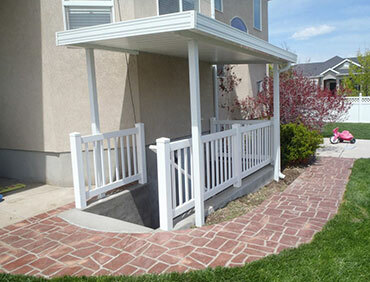 Creates a safe walkway and minimize basement flooding by protecting your stairwell from snow, rain, and debris.